In the last 30 years, the evolution of digital data processing in terms of processing power, storage capacity, and algorithmic efficiency in the simulation of physical phenomena has allowed the emergence of the discipline known as computational fluid dynamics or CFD. More recently, virtual reality (VR) systems have proven an interesting alternative to conventional user interfaces, in particular, when exploring complex and massive datasets, such as those encountered in scientific visualization applications. 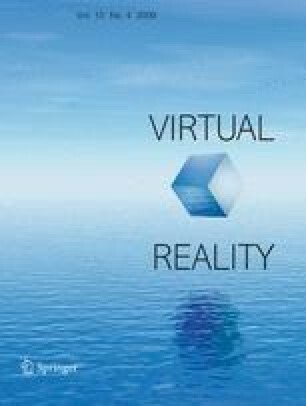 Unfortunately, all too often, VR technologies have proven unsatisfactory in providing a true added value compared to standard interfaces, mostly because insufficient attention was given to the activity and needs of the intended user audience. The present work focuses on the design of a multimodal VR environment dedicated to the analysis of non-stationary flows in CFD. Specifically, we report on the identification of relevant strategies of CFD exploration coupled to adapted VR data representation and interaction techniques. Three different contributions will be highlighted. First, we show how placing the CFD expert user at the heart of the system is accomplished through a formalized analysis of work activity and through system evaluation. Second, auditory outputs providing analysis of time-varying phenomena in a spatialized virtual environment are introduced and evaluated. Finally, specific haptic feedbacks are designed and evaluated to enhance classical visual data exploration of CFD simulations. This work is currently supported by the ANR (French National Agency for Research) through the CoRSAIRe project of ARA-MDMSA and by the RTRA (french Thematic Network of Advanced Research) DIGITEO, through the SIMCoD project.